I've been playing Civilization, in one form or another, since the mid-1990s. I love the depth of the game and the multitude of ways that it can be played. I take comfort in the knowledge that no matter what I do, or how good our in-game relationship might be, sooner or later Gandhi will try to slit my throat. When Civ VI popped a few years ago, I bought it as soon as I was able to scrape enough money together. I play it on my Mac. I play it on Windows. That wasn't enough. Soon, I found myself playing it on my iPad Pro as well. Civilization is everywhere in my life. It's like an old friend that you allowed to crash on your couch for a few days who now refuses to leave. Today, that old friend went ahead and helped itself to more of my life: Civilization VI has been ported to work on my iPhone. This is a productivity nightmare. On the other hand, much joy will be brought to the time that I spend in the bathroom. I downloaded the game to my iPhone 7 Plus this morning and took it for a quick spin. It's great! At least on an iPhone with a display the size of mine. It'll run on handsets as old as an iPhone 7. But I wouldn't want to attempt to play it on something that small. On the 7 Plus, the display, thanks to a number of tweaks that have been made to the game's UI is still completely usable, provided you don't have fingers the size of Snickers bars. I found that the gameplay and speed is pretty much the same to what I've come to expect from playing it on my iPad Pro which, in turn is, with the exception of a few graphical tweaks, the same as playing it on a laptop. This is a full, desktop-class game that you can hold in the palm of your hand. It is nothing but win. The win feels even bigger as I already own the game for iOS, so there was no need for me to buy it again. If you didn't buy it to play on your iPad, you'll want to give it a spin, quickly. Right now, it's on sale for under $30, which is a steal for a title with this much depth and that can be replayed so many times. It's not going to last at that price. If you're not sure whether you'll dig the game or not, there's also a free, albeit limited, download of it to take for a spin. It's worth mentioning that Civilization VI will also be released for the Nintendo Switch next month (God help me, I'll likely buy that too). So, if you cart one of those around with you, you might want to wait and buy it on that platform instead. You should know that the game will play merry Hell with your iPhone's battery life. After around 45 minutes of empire building, I'd noticed that my handset had taken a 25% hit to its battery. Such is life. 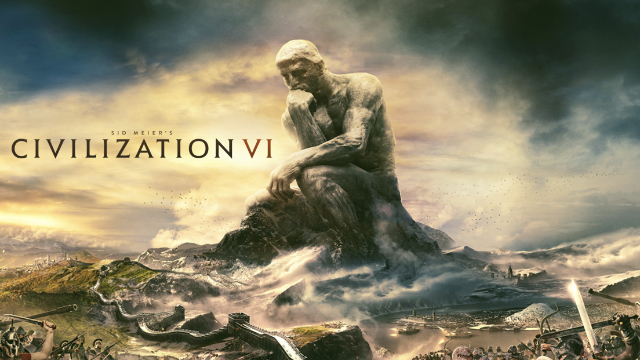 If you're a strategy game lover, are looking for something you can play offline, hate freemium titles or feel that a turn-based game could be the perfect bathroom companion (it is), then you might want to take Civ VI for a spin.